This post is a variation of my weekly message to all staff in my Trust. Watch the video, read the blog and remember what we are investing in when we spend on the NHS. In the NHS we have a duty of candour and in our Trust we have values of being open, honest and transparent. These values have been on display at a national level this week with Simon Stevens, chief executive of NHS England, challenging some members of the Government to make good on pre Brexit promises to invest £350m a week extra in the NHS. This was an unusually political intervention that was possible because NHS England is at “arms-length” from government. Simon was also clear about the consequences if the chancellor didn’t invest more in the NHS in the budget next week – longer waiting times and poorer services. This has led to the usual, often academic, debate about the economics, statistics and analysis behind claims of health spend and productivity. What can get lost and what we need is to recognise that the country is investing in something incredibly special – #allofus. This was apparent at our Excellence awards, our learner awards and our long service awards on Tuesday. We had 175 entries into the awards this year for teams and individuals whose colleagues felt they deserved special recognition. This year we had 220 people receiving a certificate for their training and qualifications, up from 109 last year. And 46 staff received long service awards, 8 of them for over 40 years service, who between them clocked up over 1,270 years of care. I think we should look behind the numbers and see the difference we make every day to help people fulfil their potential and live well in their communities. This is apparent in the films and submissions that accompanied the awards and the pride of the learners and long service award winners. It was clear when I surprised Jo Smethhurst with her award on Priory 2 – seeing first hand what a difference we can make as ward housekeeper or support worker, cook or consultant. Jo had missed her award at the ceremony and her team had kept it a secret. There were tears – happy ones. At this time of the year some people look forward to how the big supermarkets are going to advertise at Christmas time. One supermarket spent 7 million pounds on its ad for this year, designed to evoke the Christmas spirit, family and community. put together by Jude Tipper, head of communications and involvement, using her own words and material culled from the Excellence awards videos. You will recognise people – you might even be in it. You will definitely see our Trust reflected back at you and I hope it makes you as proud as I am to be here. There might even be tears. Happy ones. This week was all about saying thank you. Thanks to the people shortlisted at the awards, thanks to people who have carried out learning to improve themselves and our Trust, and thank you to people for the service they have given the NHS. Thank you to Chris Pointon who spoke at our awards, and to our Excellence award sponsors. And thank you to every one of you. Now let’s hope the chancellor is listening to Simon. Or watching. 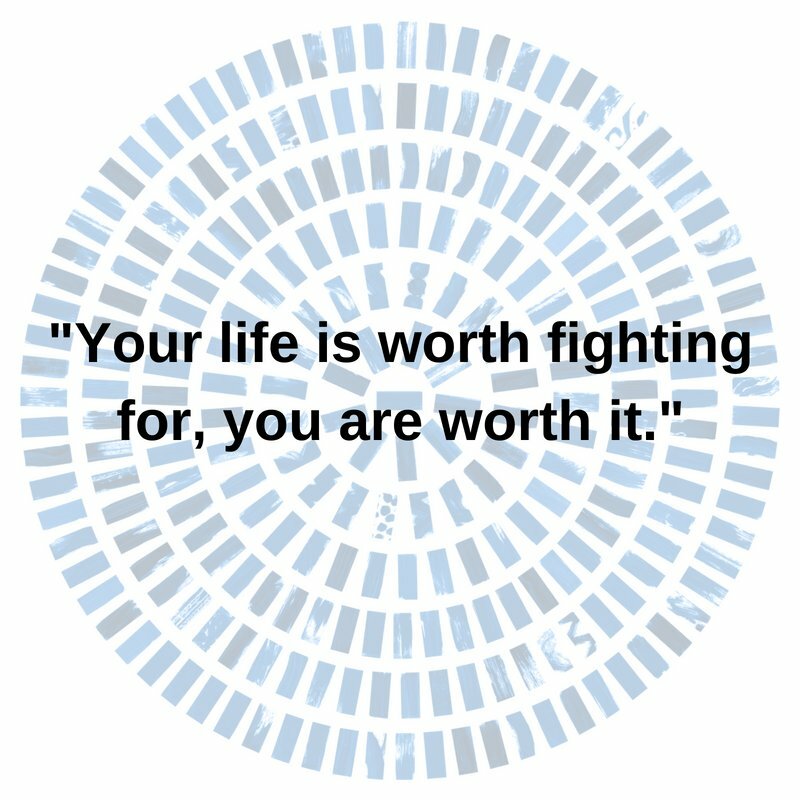 the importance of a #Selfcareeverywhere event being staged in Bradford on Saturday July 8.
Who knows how much wisdom we will uncover and what fresh eyes will bring? You can also follow the event on social media – Twitter, Facebook and Instagram throughout the day using #selfcareeverywhere. One of my colleagues from Leeds, John Walsh, does joint blogs with people from across the system. I was privileged that he agreed to write one with me. Here it is. Happy Christmas. Last Christmas a worker at a NHS health centre for the homeless rushed through the streets of the city centre loaded down with carrier bags. In the bags were Christmas gifts and tins of chocolates. She had hoped her colleague would accompany her but the colleague was drawn away to clinical duties due the demands on the service. The destination was the local refugee drop-in. The idea was for the refugee children to each receive a small present – a colouring book and pens – and gifts of chocolates for everyone there. The money was raised, the gifts bought, donated and duly wrapped. The clock was running fast so the worker decided the best bet was to walk across town. The city centre bustled with people and shoppers. Halfway through the journey the handle on one of the bags burst. Our friend sighed, grabbed the bag by its body and ventured on. She was stressed – she had so much work on back at the centre and was behind with things too. She arrived at the drop in centre – flustered and out of breath. She was happy to put the bags down. The refugee drop-in was full – adults and children filled the centre and sat around tables. People who had endured unimaginable experiences a short time before in the war torn areas of Syria were here and were safe. She started to distribute the chocolates on the tables and gave the presents to the children. The children opened the gifts and got down to the colouring and drawing. Colleagues from the local authority arrived with presents too. As our friend stood there she started to fill with emotion and well up with tears. Something was unfolding before her – something very simple yet incredibly significant. It was an experience that touched her heart. She stayed a short while and then returned to the busy, never ending world of NHS healthcare. On her way back she reflected on what she had seen. For a short time at the drop in centre, she had stopped her rush-a-day work life and been given a clear message. There were three parts to this. The first was she recognised in that little church hall what really matters. It’s people who matter. Seeing the joy in the faces of those children was what both Christmas and work was all about. Seeing people with nothing, happy to receive and to find joy in simple gifts. Caring for others and bringing joy to those near and far from us was the most important thing. It is what we do to others that teaches us most about ourselves and what our services should do. The second reflection was that we are all in this together. The local authority, third sector, shops that gave free chocolates, good hearted individuals who helped and the faith community who hosted the sessions. It said that we work best when we work and learn together. Each bringing their own contribution to make something greater than the individual parts. In that room she saw how cities and services must be in the future – moving from silos to solidarity. Solidarity comes from the French for ‘interdependent, complete, entire’. Solidarity here was a unity for change and care in the heart of a city. The last reflection that struck our colleague was that we all have a part to play and that a public service ethos is a powerful connector. She had seen it in the busy colleagues who couldn’t attend but who spent time meticulously wrapping the presents; the local Co-Op manager that donated chocolates; the fact that the city was working to support the most marginalised. 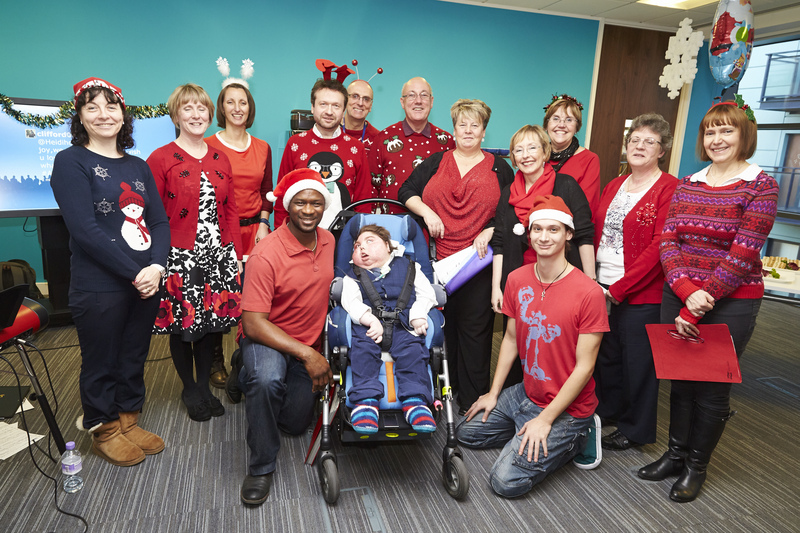 This wasn’t just a Christmas tale but an everyday one – people in the NHS and with a public service ethos everywhere – united in a shared purpose to do good and make a difference, whatever your circumstances, wherever you are from. This was an event perpetually happening in so many places. Public service is a deeply held belief and drives people to create the best they can. This is one of the main reasons why we think so many go the extra mile and work outside of hours to try to help. This wish to publicly serve is something to value, cherish and celebrate. It is about making a contribution to build a better world. A world without social workers, therapists, nurses, doctors, support workers, porters, drivers, chaperones, hostel workers, advocates and everyone who chooses to serve people as a public good would be a lesser place. Public service is a commitment to social wellbeing, development and cohesion. At this time of the year we hear and see the great Christmas tales. Books like ‘A Christmas Carol’, films like ‘Its a Wonderful Life’ and the story of the health worker at the refugee centre remind us what really matters. When it comes down to it, it’s all about people – like you, like us and everyone else who makes a difference to those we care about. The writers would like to wish everyone a great Christmas and happy 2017. We hope it will be a time of great joy for you and yours. We dedicate this blog to all those – families, patients, carers, staff and volunteers and people out there who every day show us what true humanity and care is all about – thank you – you inspire us to keep on hoping and going. Every year at Christmas, the beautiful, 100 year old Hyde Park Picture House shows Frank Capra’s It’s a Wonderful Life. It’s a Christmas staple that many of us will watch on TV too. The film stars James Stewart as George Bailey , a man who sacrifices his own needs in order to help others and whose imminent suicide on Christmas Eve brings about the intervention of his Guardian Angel, Clarence. 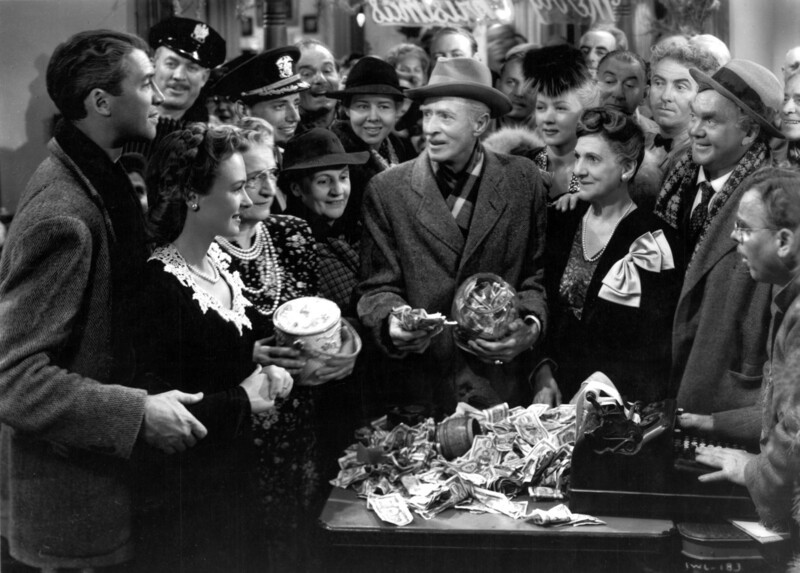 Clarence shows George all the lives he has touched and how different life in his community of Bedford Falls would be had he never been born. Its life affirming conclusion where the townspeople rally around George to keep him from prison is so powerful it should be available on prescription. 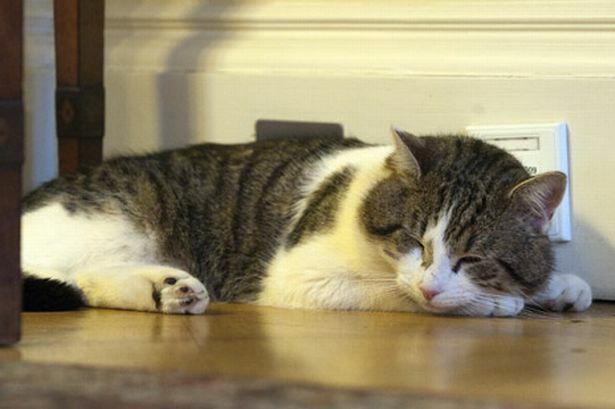 It would be easy for people in the NHS to feel like George in 2014. In bleaker moments, we can point to a bleak environment. There has been a constant stream of negative press – it is now open season on what the Commonwealth Fund decided was the best healthcare system in the world. So much so, that the real issues can get crowded out. Recent press activity now includes saying the opposite of what is true – this week’s example 4 out of 5 new nurses are from overseas [wrong! Facts here…]. Industrial dispute puts people who work in the NHS against the people who pay for it. We are facing the biggest activity surge and the biggest pressure on services in my career, with staff working tirelessly to deliver great care being kicked about like a political football. On some days, my social media feed often looks less like a conversation and more like a mob, with attacks on “NHS managers”, unpleasant trolling, doctored pictures that show me as Hitler and people behaving in pretty despicable ways to each other. Most NHS leaders and the people who work in the service are pretty resilient. But there have been moments when many of us will have wondered what it was all for…. Fortunately, the NHS’ Guardian Angel came to the NHS Confederation/NHS Employers last week to remind us how the NHS touches all of our lives. 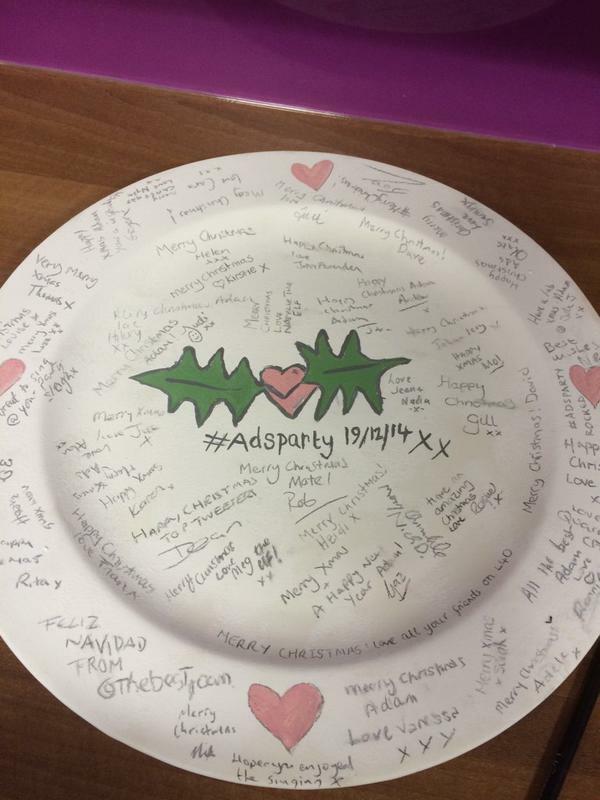 The occasion was #AdsParty . It was one of those days – the special days that touch us deeply and we never forget. 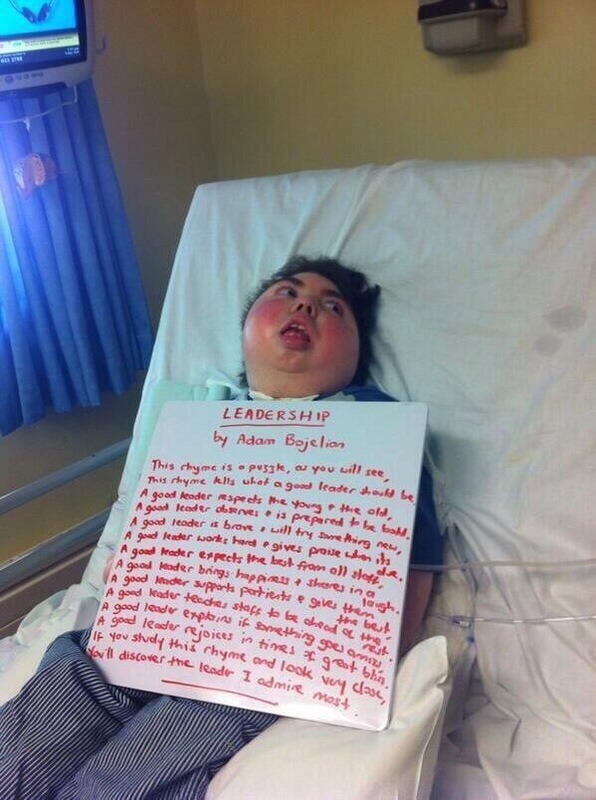 Adam Bojelian is a 14 year old poet, Brit Award winner and long term patient at Leeds teaching Hospitals Trust. He communicates his wisdom and wit through blinking. 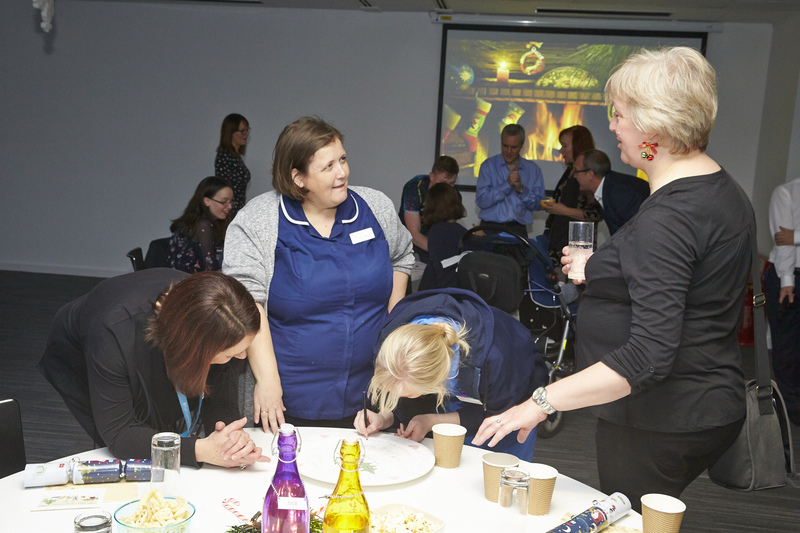 The party was a tweetmeet and celebration of Adam, inspired by Kirtie Stott and Vanessa Garrity from New Healthcare Voices and put together by the fantastic team at NHS Employers of Danni, Sam, Johnno and Andrew. The idea was simple, get Adam and his family together with all of the people he inspires through social media, throw in a bit of food and celebrate Christmas. The execution of the idea showed me why we must never take for granted that the NHS is made of people – give them the headroom and they will always exceed what you expect. In dark moments, I will always be able to conjure up the scene, with my own version of the guardian angel Clarence whispering in my ear about…. 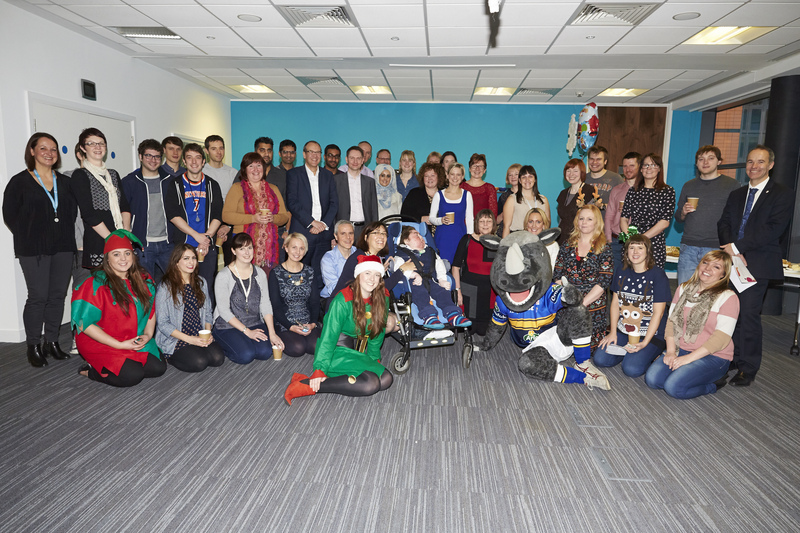 A set of elves doling out mulled apple juice as they greet us, the Horizons team setting the tone and supported by Ronnie the Rhino – reminding us of the great work the Leeds Rugby Foundation does in healthcare and how communities matter, place matters. The ward and nursing team supporting Adam talking about how tough things are and also how much they love what they do. They have a renewed sense of connection between them and the Trust Board under Julian Hartley’s leadership. I was reminded of Dean Royles’ work and the piece on HSJ about the Trust’s focus on the personal, fuelled by technology. New leaders emerging in the shape of New HC Voices, with Kirstie and Vanessa’s amazing group augmented by award winners and front-line heroes Sarah Searz, Joan Laplanas, Thomas Shahanan, John Walsh – “real people” doing “real” jobs epitomising a value based approach and wanting to change the world. 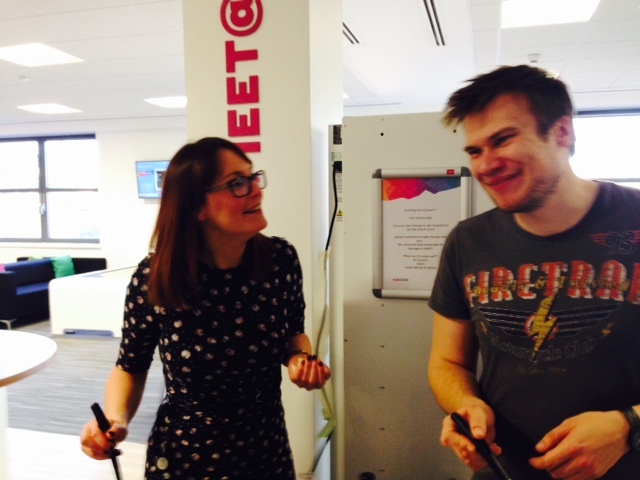 Kate Granger, taking time out from being a new consultant to come and meet Adam. She has already changed the world through #Hellomynameis, demonstrating the power of an idea and a personal story that connect us all. While the virtual log fire flickered, Kay Mellor the actress, director and author recited Christmas Gibbons and we all laughed at the reality that it isn’t the reindeer but the gibbons that do the deliveries at Christmas. The Quarry House Choir from the Department of Health, NHS England and DWP singing “Walking in the Air”, one of Adam’s favourites. The assembled crowd look on, connected in the moment. 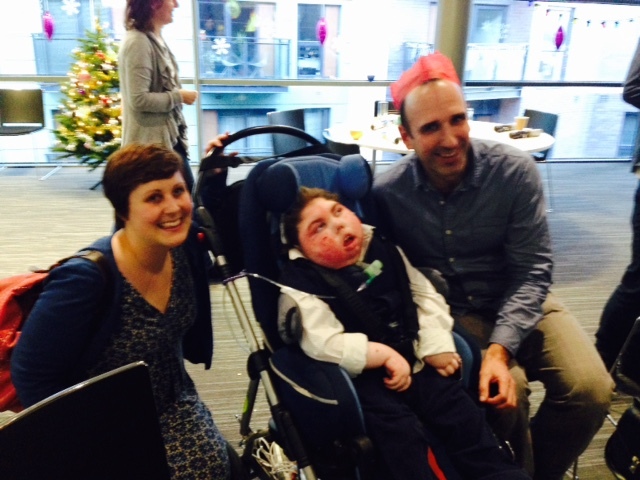 And above all, the inspiration for the whole thing – Adam and his parents, Paul and Zoe and their family and friends. The team starts here in the service. The patient who always has assets to share. The parents who have expertise. The families who support each and every day. So next time things get bleak and things get tough, I will remind myself that we have a good set of strategies in the NHS with 5 Year Forward View and its ilk. We have a commitment to more resources. And above all, we have the people who can always exceed your expectations. Forget the HSJ100, Debrett’s and Who’s Who. 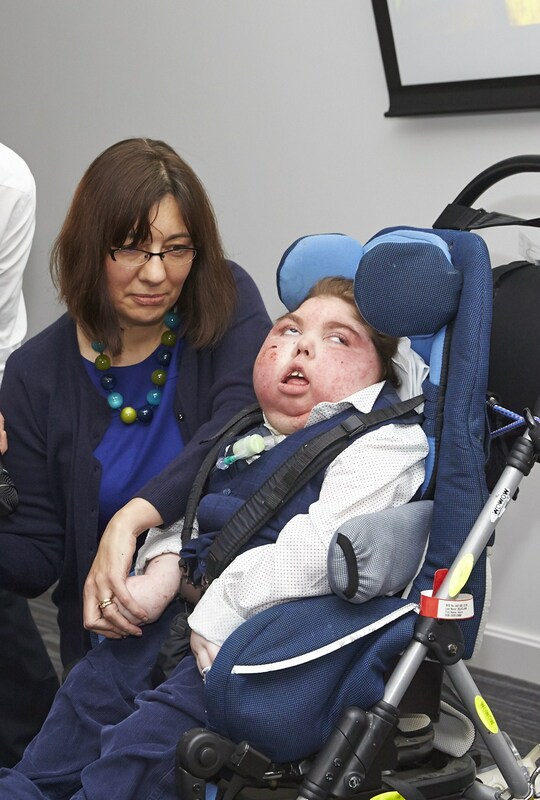 The NHS is made of people – just like me and you and Adam. It’s a wonderful life. Happy Christmas! It’s not all Cardigans and Charity Shops Y’Know! I was in Oldham recently. I was really taken by the experiences of the system in Oldham and Ashton when I visited Pennine Care and Michael McCourt’s team. Their Living Well Academy and work on Carers and coproduction around long term conditions is right in line with the future needs of the NHS – building capacity by aligning the efforts of the “team” that is already in place. With over 6 million people designated as “carers” and almost a million carers aged 65 plus, this has huge potential. 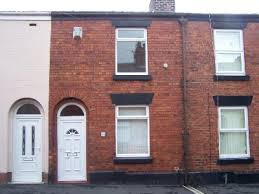 Oldham’s experiences of recent commissioning decisions is also indicative of the future. They were successful in bidding for new models of care for all of their community services in a partnership with all of the local GPs, the local authority and the local AgeUK team. True collaboration, aiming to bring integrated services through working together – not structural reform. Both of these developments are good, but I wanted to share a story from the excellent CEO of Oldham Age UK Yvonne Lee. “They got you wrong love. They thought they wouldn’t be here long and were coming to see an old woman in a cardigan in a charity shop”. Our understanding of the role of the not for profit sector in the NHS is improving – if not quite there yet . We need to exploit the potential fully. Because the sector is clearly part of the integrated team that sits around the families that we work with, the ones who will never be discharged from our care. That has been my experience in my life as a carer – and it probably is in many of yours too. 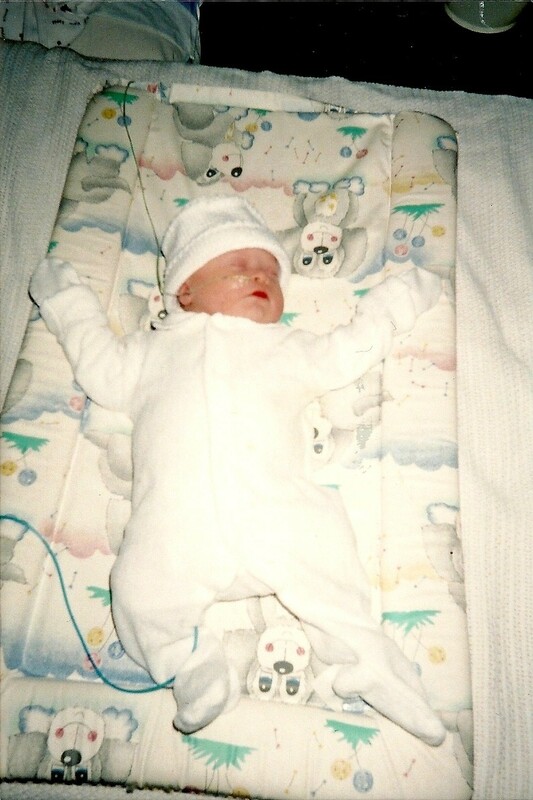 When George was born with Down Syndrome and we had a thousand questions about the future. The wise consultant at the hospital said – “just wait, Marjorie from Leeds Mencap is coming in to see you tomorrow. She will help answer anything you want to know.” They were right. A partnership was born that saw us supported in George’s physical, emotional, educational and social needs across his whole lifetime. From using Makaton as his first language skill, through portage, peer support, speech therapy, school inclusion and right through to dancing at the West Yorkshire Playhouse and beyond. Alongside many others – Bradford Down Sydrome Support Service, SNAPs, Down Syndrome Association, Me2, Down Syndrome Education International -they have played a critical part in making him who he is today. They have done so with great kindness, skill and in line with an array of rules and regulations; a changing policy context and the toughest financial challenge for a generation. If this sounds familiar to NHS organisations, then it is. And what an opprtunity to embrace the contribution of carers and this sector in dealing with a shared endeavour and the biggest challenge for a generation. All means all – now prove it! “All”. It is such a small word. Three characters, only two different letters. Yet it carries an immense power and sits at the heart of the first of the Bevan principles from 1948. The NHS “meets the needs of everyone”. This has subsequently been updated as one of the seven principles of the NHS Constitution. The first principle there is “The NHS Provides a Comprehensive Service Available to All”. 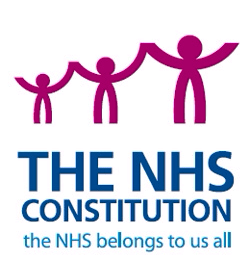 In fact, the NHS constitution has a subtitle. 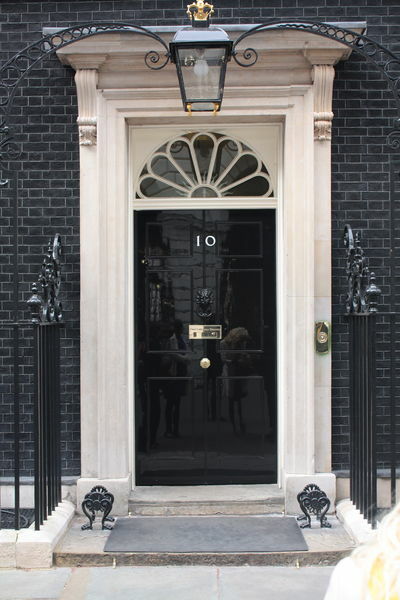 I was asked to attend the NHS Leadership Academy’s recent Top Leaders programme semester on Equality and Diversity in the NHS to talk about my experiences as a Chief Executive in the NHS. As a former commissioning CEO and a provider trust CEO I wanted to give a perspective on a topic that is very dear to me. Because any serious look at the experiences of people and the profile of staff at senior levels shows that in many places we are making progress, but we are not succeeding in dealing with issues that can still shock as well as surprise. My presentation is available here. I won’t use this blog to repeat the issues that I set out or the key points in the slides. As ever with me, a blend of values based leadership, visible system leadership, engagement, partnership, structure and systematic approaches to tackle issues hopefully comes through. I will focus on two quick things. We are not there yet and have a long way to go. Avoidable deaths for people with a learning disability? BME staff experiences of development and career progression? Access to early diagnosis and treatment of CVD for people in deprived areas? 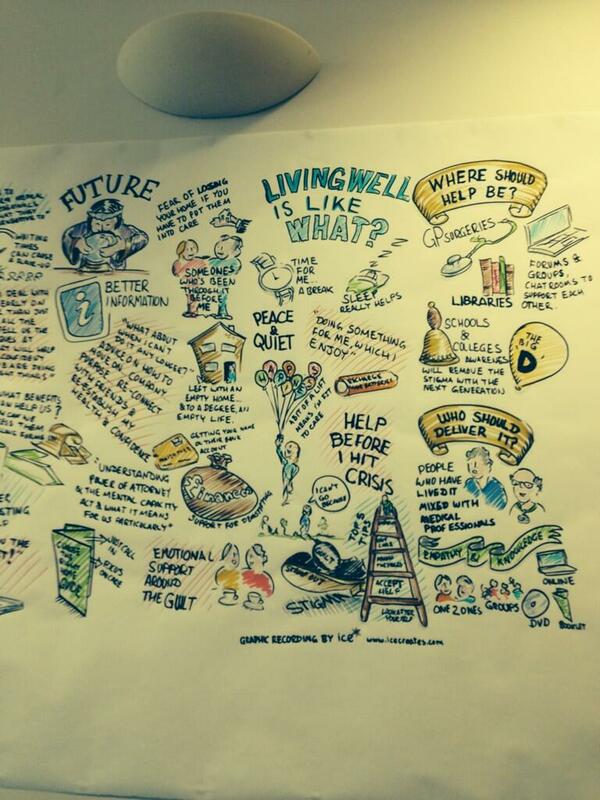 All negative indicators of a need to better design services with people to overcome barriers to care. Let’s ban the idea that people are “hard to reach” while we are at it. We have just not designed services in ways they can access. Secondly, the need for visible leadership. You will see I have a picture of the very senior NHS Leadership team in my presentation. This has changed recently, Mike Farrar has been replaced by me. David Nicholson by Simon Stevens. The question I pose is “What’s wrong with this picture”. The answer is obvious isn’t it? What I said instead was that there was a lot right because the motives and explicit intentions of the white, male, senior leaders were to focus on this agenda. “Yes, but how would I know?” Came a question from a participant. I have thought a lot about the answer to this question since. We will all only really know when visible leadership of this agenda begins to make a genuine difference. When Roger Kline’s “snowy white peaks” begin to melt and when shocking figures relating to inequalities become a genuine surprise. There is reason for hope. There are great examples of fantastic work across the NHS. Ally this to a resurgence in commissioning for inequalities and quality; and a provider regime that is accountable to its public through membership that is representative; then we may get there. With future leaders that are more diverse being championed by the very people who they will replace, we have a great chance to ensure that all really does mean all in a 21st Century NHS.